Real estate is booming in many areas of the U.S. You might be surprised to learn that this year, real estate growth was highest in some smaller cities like Midland, Texas and Columbus, Ohio. Although the market ebbs and flows, many experts agree that real estate is always a good industry to get into. But you don't need to invest in homes or apartments to cash in on the real estate market. Becoming a real estate agent is a great way to profit from the consistent growth in this industry. 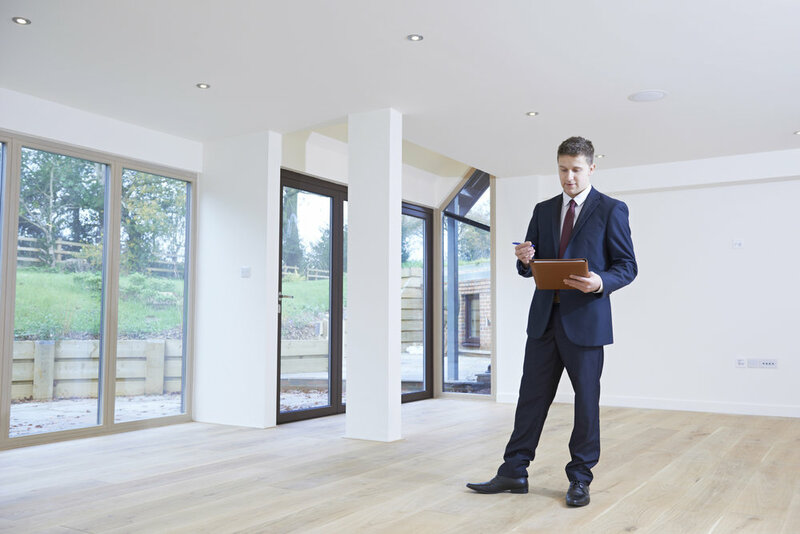 How can you find success as a real estate agent? It's all about real estate branding. As with any business, marketing is critical. And when you're a real estate agent, you and the brand are one. If you're wondering how to brand yourself in real estate, we're here to help. Read on for our top real estate branding tips! Just as with any brand, real estate branding involves knowing your target audience. But unlike some brands, you'll also need to learn about your target geographical area for real estate branding. You will need to know your area so you can market both to the people who live there, and the people who want to live there. And you'll need to know all about the people in your area and the kind of person who aspires to move there. Get to know the neighborhood where you'll be selling real estate well. If you don't live there, start spending a lot of time there. Don't just visit during business hours. Drive through or stop at a business at all hours to find out how the neighborhood feels. Learn about the people in the neighborhood, too. What's the median income level? What are the schools like? What's the history and culture of the neighborhood? What do people do for fun? Use a balance of online and in-person research to get this information. Then, use it to target exactly the kind of person you'll be marketing to so you stand out from the crowded field of agents. Now, you need to start getting your name out there. Connecting organically with members of your target audience is a great way to find real estate success, and social media is an ideal place to do this. This means making profiles on all the major social media sites. Pay special attention to those that are visually focused, like Instagram. Real estate is a visual industry, and people need to like what they see in order to buy from you. You can use a professional headshot as the profile image on this sites. However, it may also be a good idea to develop an easily recognizable brand logo. Make the logo your profile picture across social media, and people will quickly be able to spot you anywhere from your personal branding. Now, start filling out those pages with great content. Make sure the content is there before you start running ads or seeking out followers in other ways. Use lots of photos of your current listings, or recently sold listings. You can also add attractive shots of the neighborhood, or even historical images. Focusing on interesting local news as well as local real estate will get people following your page. Make it fun to look at, and encourage your target audience to interact with your posts. One helpful way to delve into knowing your target audience better is to make "buyer personas." These are detailed descriptions of the people you hope to sell real estate to. You can actually create names and descriptions for each type of person that you might be selling to. This helps you really understand each member of your target audience so you can speak to them directly. Your logo will pack a punch if there's also a catchy tagline along with it. You can incorporate that tagline into your social media, website, and printed materials. For the most effective branding try to come up with a short but sweet slogan that encapsulates your real estate philosophy. Your online presence forms the most powerful part of a modern real estate marketing approach. Work on creating an excellent website, so customers who look you up online will want to work with you. Your site needs to be easy to use, visually appealing, and SEO-friendly. Work on adding lots of great images and making navigation simple. To get more organic traffic, fill out your blog with regular content. You may not have time to write it yourself, but this is a good time to hire someone to help you put your website together. Investing in SEO can be costly, but it will pay off well. Adding blog posts will also give you an opportunity to add some promotional materials to your real estate websites and stand out in front of buyers and sellers. Don't forget to optimize your site for local traffic, too. Make sure to use locally-relevant keywords in your posts, so that people searching for real estate in your neighborhood will find your site. A great way to get new branding ideas is to look at what your local competitors are doing. Of course, you should never directly copy someone else's approach. But it is a good idea to make sure you're not missing a branding tactic that one of your competitors is using. Smart branding includes knowing what else is out there, and figuring out ways to make your brand stand out. For example, if they're focused on the established niche of neighborhood residents, maybe you'll want to focus your marketing on the younger people looking at moving to your neighborhood from elsewhere. You won't be able to set yourself apart if you don't learn about your competitors. Ready to Make a Name With Real Estate Branding? The real estate world is notoriously competitive. The best real estate agents thrive on that competition, and use branding to set themselves apart. Although there are many other real estate branding tactics you can use, the ideas listed here will cover most of your branding bases. Start with these, and you're almost sure to find success. Looking for ways to turn these skills into more money? Don't miss our guide to boosting your real estate agent salary.